Mutton shami kebabs. Soft, melt in mouth kebabs made with minced meat and fragrant spices are best starters for a Biryani dinner. Trust me, you will repeat the menu time and again. We recently bought an AirFyer and I decided to make these kebabs it the “low fat way” but if you don’t have an Air Frier, you can fry the kebabs the way they are traditionally done. And oh, the Airfryer is one of the best investments I have made. With almost no use of oil, the air fried food tastes the same as deep fried. Win-win I’d say! Let the boiled mince mixture cool, then grind it so that all the garam masalas get grounded and mixed, but the mutton retains the texture. I don't use the food processor, I like to do it the traditional way, on the grinding stone called Sil-Batta. Taste the mix for salt. Add more if required. Mix in chopped mint leaves, finely chopped coriander and deseeded and finely chopped green chillies and combine them well with the mince-dal-spices mix. Make round patties carefully placing one or two sultanas inside each patty, roll it in beaten egg and breadcrumbs. Pre heat the Air Frier, arrange the patties in the Air Frier tray, baste them with ghee (or unsalted butter) and let the frier run for about 15 minutes. If you don't have an Air Frier, fry them in a shallow pan full of ghee. Using ghee or clarified butter will give it a better taste as compared to frying it in the oil. Serve the kebabs with Mint raita and some onion rings with a slice of lime, or with tomato sauce. Shami kebab literally means Syrian kebab (Sham) in Arabic. Some are of the opinion that these kebabs were introduced to South Asia during the Mughal era by Muslim emigrants from the Middle East. They had employed cooks from all over the Muslim world to serve in the royal kitchens. Some of the cooks were from Syria as well. The Sham refers to either Syria specifically or the Levant in general, and these kebabs literally means Syrian kebabs or Levantine kebabs in Arabic. The Shami kebab are also popular in Afghanistan and Azerbaijan. In Urdu, Sham is refers to Syria and also to evening. Shami Kebab is one of the many local variants of the Kebab from Afghanistan and India. Some people claim that the Shami Kebab has its origins in the word Sham (meaning evening in Dari, Hindi and Urdu). What a wonderful receipe in Air Frier . 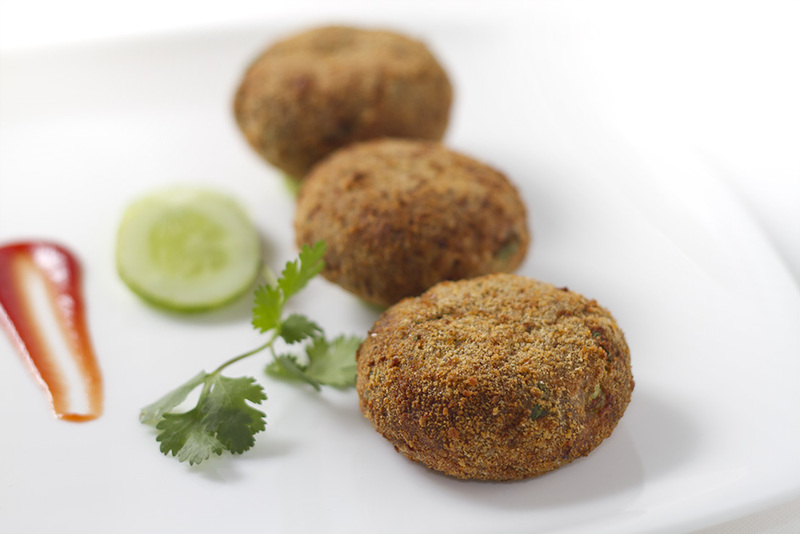 Thank u very much for sharing the Shami Kabab receipe with us. This is no doubt a mouth watering kabab. Pl share another receipe with us.